Go Green with Recycled and Refurbished Office Furniture! Clear Choice Office Solutions has spearheaded the battle against the disposal of solid hazardous waste to the landfill for years. We have substantially reduced the amount of waste that go to landfills by selling pre-owned office furniture that include; cubicles, chairs, desks, and cabinets. Our wide spectrum of clientele, whether big or small, understand that using refurbished and recycled furniture is financially, environmentally, and aesthetically wise for a business. Clear Choice Office Solutions is a professional supplier of new and used office furniture. We are among the few reputed office furniture liquidators who have played a key role in recycling, refurbishing, and redistributing furniture. We recycle where possible. We compact and sell metal to commercial recyclers and recycle packaging materials from used and new furniture. If we have no option but send office furniture to the landfill, we first compact them using our own compactor. This way we reduce the office furniture to 25% of its initial volume. This helps minimize solid waste volume in the landfill. Office furniture disposal on landfills results in immense environmental damages. Every year tons of office furniture and furnishings end up in landfills. By re-cycling and refurbishing office furniture, we divert a huge amount of waste that would have ended up in the landfill. We also sell pre-used items such as conference tables, desks, credenzas, filing cabinets, and chairs. All these add up to the office furniture that has been diverted from the landfill. By recycling and re-using office furniture, we not only reduce the amount of waste that ends up in the landfill but we also help reduce emissions that would have resulted from the manufacturing of new furniture. By recycling office furniture we reduce pollution from harmful substances such as carbon monoxide, volatile organic compounds, sulfur oxides, particulate matter, nitrous oxide, and carbon dioxide. To top it off, recycling office furniture saves a lot on energy which would have been used to make new furniture. 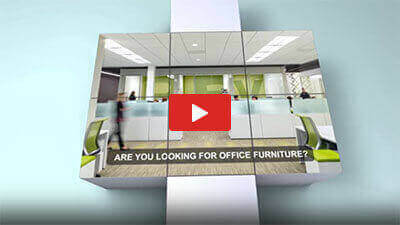 Clear Choice Office Solutions is a reliable seller and distributor of new and used office furniture. We deal in recycled and pre-owned furniture which helps in our effort to participate in environmental conservation. All our efforts are geared towards maintaining a sustainable and clean environment. We clearly understand the effects of environmental pollution and believe by going green we make the world a better place to be.